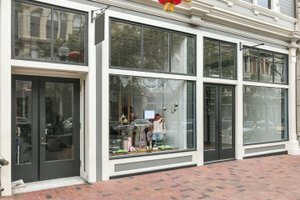 White box pop-up retail space available in Old Oakland. Space has rear storage area with sink and access to shared bathroom facilities. Available for rent by the week or month. 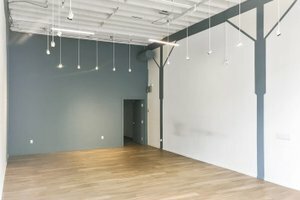 With bright interiors of white walls, striking fluorescent lights and a polished black floor, the space is a perfect blank canvas on which to curate your exhibition or pop-up experience. 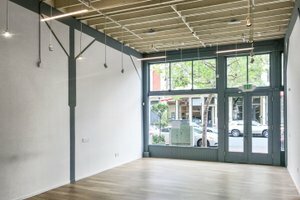 The space is well-equipped to host many event types. 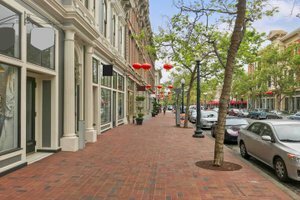 Space is located on a beautiful tree-lined street home to Swans market and a mix of independent retailers. 12th Street Bart station is two blocks to the north. Street traffic includes a mix of daytime office workers as well as evening residents.